When staying at our hotel you can easily reach the main monuments and museums of the city. 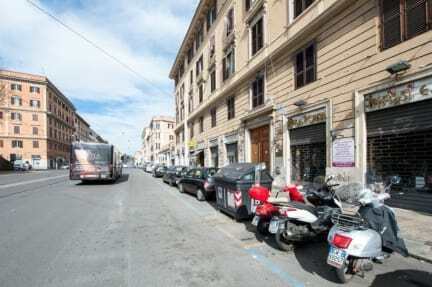 The Residence Lateran is in fact very close to the Metro (Line A, stop San Giovanni, 700 meters) and is served by 3 bus lines that stop right in front. 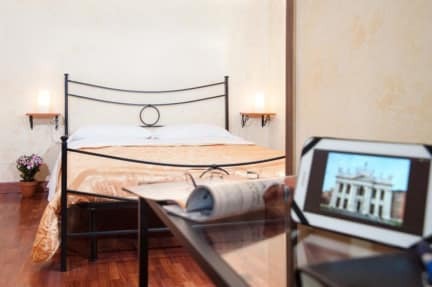 The Residence Lateran offers its guests rooms are simply furnished and functional, equipped with everything you need to live a fantastic stay in a city rich in history as Rome. and stay in touch with your family members. to quickly and easily locate places of interest to visit. is always included in our rates. Please note - All bookings require a valid credit/debit card in order to be secure. We pre-authorise cards after the booking is made. If the pre-authorisation is not successful, the property will ask you for a valid card with sufficient credit, and if you are unable to provide a valid card, the property reserve the right to cancel your booking. Check out time : 10:30 .